Chief Justice Ranjan Gogoi on Monday recused from hearing NGO Common Cause's PIL challenging the Centre's move to place M. Nageshwar Rao at the helm of the affairs of the CBI in the interim, following the transfer of CBI Director Alok Verma. "I am participating in a meeting on January 24 (of the Selection Committee comprising the Prime Minister, the Leader of the Opposition in the Lok Sabha and the CJI, as envisaged under section 4A of the DSPE Act for the appointment of the CBI Director)...so I cannot hear it..."
Chief Justice Gogoi required the petition to be listed before Court 2. The PIL will now be heard by a bench headed by Justice A. K. Sikri, the second seniormost judge of the apex court, on Thursday. The PIL was 'mentioned' before the Chief Justice last week by Advocate Prashant Bhushan, who had drawn attention to the reliefs sought- quashing of Rao's appointment as the interim Director of the probe agency, besides, transparency and due standards in the appointment to the post. It may be noted Justice Sikri was nominated by the CJI to the previous meeting of the Selection Committee on January 10 which had removed Verma as the Director, two days after having been reinstated by a judgment of the Supreme Court, deciding to transfer him to the post of Director General Fire Services, for his residual term which will end on January 31. 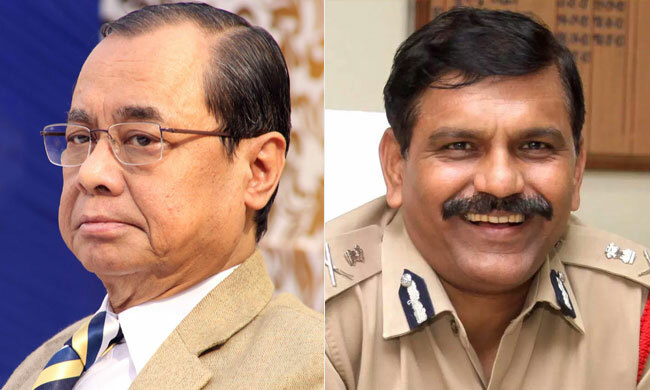 The petition states that the appointment of Nageshwar Rao was not made on the basis of recommendations of the high powered selection committee, as mandated under the Delih Special Police Establishment Act. The order dated January 10, 2019 stated that the Appointment Committee of the Cabinet has approved the appointment of Nageshwar Rao "as per the earlier arrangement". However, this earlier arrangement i.e. Order dated October 23, 2018 making him interim CBI Director, had been quashed by the Supreme Court on January 8 in the Alok Verma case. However, the government still invoked its earlier order which had been quashed, to once again make Nageshwar Rao Interim Director of the CBI, contended the petition.. The Government of India has attempted to stifle the independence of the institution of the CBI by appointing the Director of the CBI in an arbitrary and illegal manner. Further, the lack of transparency in the process of appointment prevents any meaningful public scrutiny and allows the government to exercise undue influence in the process especially at the stage of short-listing of candidates, thereby undermining the institution of the CBI. Apart from seeking to quash Rao's appointment, it also seeks directions for laying down specific mechanisms to ensure transparency in the process of appointment of the Director of the CBI. The petition states that in December 2018, the government initiated the process of appointment of Director, CBI as the tenure of Alok Verma was set to finish on January 31, 2019. In December 2018,Anjali Bhardwaj filed various applications under the RTI Act seeking information on appointment process. "In an attempt to obfuscate and withhold information about the appointment process, the government responded to each of these RTI applications with the same summary response", the petition says.